The pond was designed and developed in 2012 as an outdoor classroom. 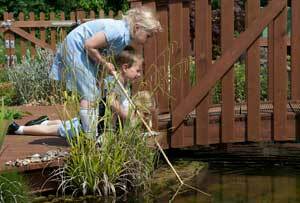 It encompasses a deep water pond, a shallow water pond, running water feature, 2 bog gardens, a Monet bridge, the learning pod, Wi-Fi, outdoor cameras and class sets of pond exploring accessories. Each class has specific units that they complete in this area throughout the year ranging from life cycles in Science to Impressionist art. 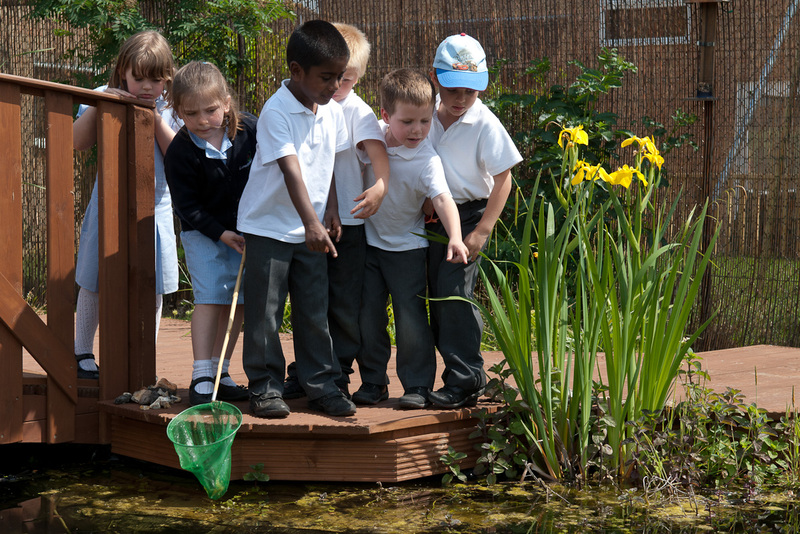 In addition to this the pond area is often open at lunchtimes allowing the children to enjoy, explore and relax.